Loring Green East & West condo communities followed a string on construction in the Loring Park neighborhood in the 1980s. 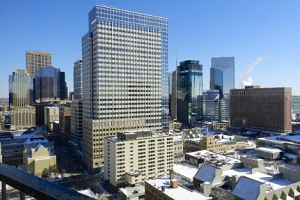 The largest of the two buildings at 23 stories tall is Loring Green East with 192 units in total whereas its younger brother Loring Green West stands 17 stories with 147 modest condos to choose from. 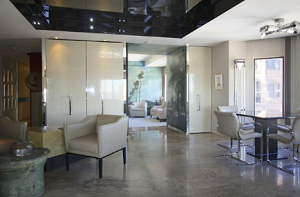 Combined, the pair provide residents with comfortable living in a prime central location. Between them, Loring Green East & West offer some outstanding amenities including tennis courts, a fully-stocked workout room with whirlpool, and a party room for entertaining guests. Loring Park East & West are also within walking distance from Minneapolis Community & Technical College, the Minneapolis Sculpture Garden, Nicollet Mall and University of St. Thomas - Opus College of Business. See all Loring Green East & West condos for sale in Minneapolis below or read more about these condos in the Loring Park neighborhood. Looking to live in Loring Park, but not finding what you are looking for? Inquire about our 'off MLS' Minneapolis Condo and Loft pocket listings. The units at Loring Green East & West are spacious offering between 1,110 and 2,240 sq ft of space. 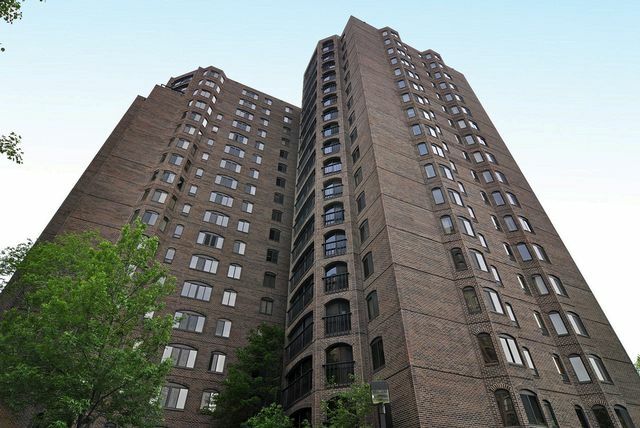 The classic brick facade sits in the heart of the Loring Park neighborhood. These luxury units come with all the bells and whistles one would expect in a high-end apartment: gourmet kitchens, hardwood flooring, and sleek finishes. The shared amenities are pretty fantastic as well. 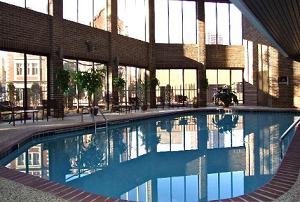 Residents can take advantage of the indoor heated pool, and gym which features a relaxing whirlpool. For in-house recreation and entertainment, tennis courts and a community room provide things to do for both residents and their guests. If you love green space, you're sitting in an abundance of parkland in the Loring Park neighborhood. On top of the recreational opportunities at Loring Park and Loring Greenway, residents have access to a handful of community parks to explore. Culture buffs will enjoy being within a short walk from the Minneapolis Sculpture Garden and the Walker Art Center. Students are located in proximity to several post-secondary institutions including Dunwoody College of Technology, Globe University and the University of St. Thomas among many others. Also nearby is shopping at Nicollet Mall and several dining options and cafes just down the street from Loring Green East & West. Parks: Loring Park, Loring Greenway, Franklin Steele Park, Stevens Square Park, Thomas Lowry Park, Bryn Mawr Meadows, Washburn Fair Oaks, Minneapolis Sculpture Garden. Restaurants: Pink's, Cafe & Bar Lurcat, Buca di Beppo Minneapolis, Dakota Jazz Club & Restaurant, Masa, The Melting Pot, Ruth's Chris Steak House, Cosmos. Shopping: Nicollet Mall, Target, Macy's, Ke HE Distributors, Bellisio Foods Inc, Groceries on Harmon, Oak Grove Grocery, Gaviidae Commons. Schools: Fair School Downtown (Public, K-12), New Horizon Academy (Private, PK), The Blake Upper School (Private, PK-12), Child Garden Montessori School (Private, PK). Do you own a condo at Loring Green East & West and happen to be thinking about selling? Let me assess your condos value and get you a price quote. Fill out my condo sellers form and our team of Minneapolis condo experts at Downtown Resource Group will get back to you with more information on the recent sales activity in your building as well as provide you a marketing plan and general market assessment.